Stand strong with the Island Guardians! Stand ready with the strange and fearsome Pokémon of Alola! 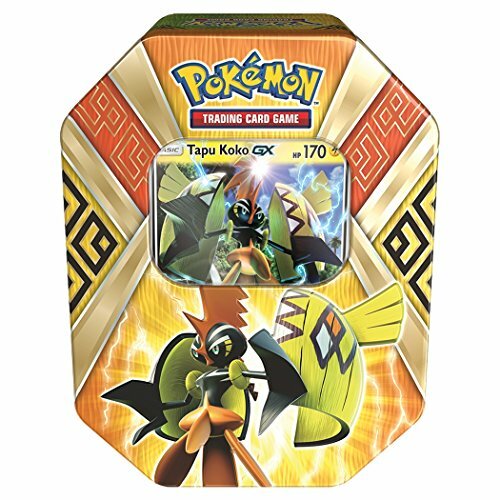 Choose the electric mischief Tapu Koko-Gx in the Pokémon Trading Card Game: Island Guardian Tin. Each of these beautiful tins contains all the astonishing power of a strange and mysterious Pokémon-GX who stands as a defender of the land!. If you have any questions about this product by Pokemon TCG:, contact us by completing and submitting the form below. If you are looking for a specif part number, please include it with your message.